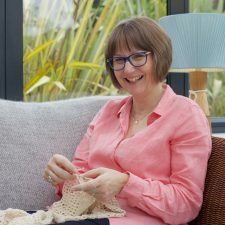 Summertime knitting and crochet should be easy and relaxing, nothing too complicated or tricky when its hot. I don’t know about you, but I also don’t enjoy knitting or crocheting with wool either in the summer. 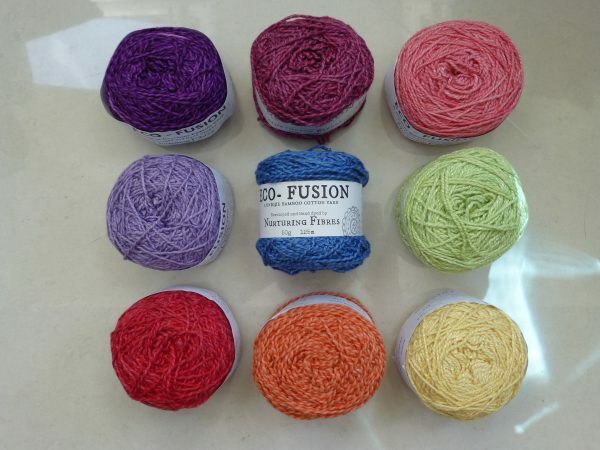 I really love the cotton and cotton/bamboo yarns from Nurturing Fibres for their smooth feel and comfort in wear. Of course cotton is a summer essential, but did you know that bamboo has anti-bacterial properties, so it makes it ideal for summer wear when you might get hot and “glow” a little! Its Oxfam Water Week this week. Here are some distressing statistics which bring the water issue sharply into focus… 1000 children will die each day as a result of diarrhoea caused by dirty water and worldwide 700 million people don’t have access to safe water. Read more about Oxfam’s work here. I love using Nurturing Fibres, for garments and accessories. Have a look at what I’ve made using the Nurturing Fibres EcoFusion. I’ve reworked the Claire Shawl using 2 balls for the shawl, and 2 different colours for the crochet edging. 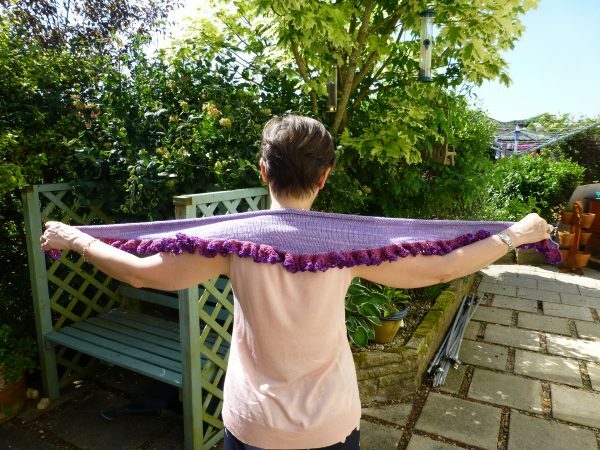 Its a quick, fun project to do, and is ideal for summer evenings or even around your shoulders on a plane journey when the air-con can get a bit chilly. What do you think of these colour combinations? Anything you like? I hope these colours will work in any direction; left to right, vertical or diagonally, that’s the beauty of these yarns! Newsletter subscribers this month will get this pattern reworked, free with any purchase of Nurturing Fibres from Gorgeous Yarns. So, if you haven’t already signed up, don’t miss out! Its a once a month newsletter, delivered to you email box. Interested? Click this link. What are your knitting and crochet plans this summertime? 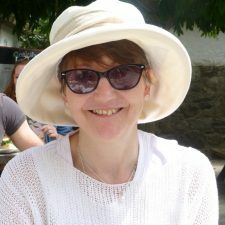 I’ve joined The Crochet Project Skimming Stones mystery CAL. It starts on 20/06/18, I’ll let you know how it goes. 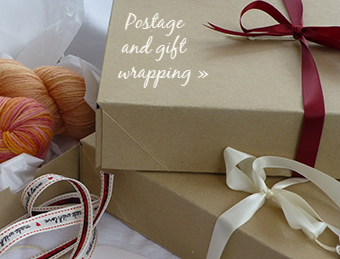 This entry was posted in News and tagged cotton, cotton-bamboo, crochet, Gorgeous Yarns, knitting, luxury, Nurturing Fibres. Bookmark the permalink.